The Salvation Army in Australia is recognised for our uniforms and brass bands as much as our work in the community. Our distinct style can seem confusing at first, but it stems from a rich and diverse history, tracing back to The Salvation Army’s foundation in 19th Century London. The administrative structure of The Salvation Army can best be described as being top-down and strongly hierarchical, based upon a military model. This military structure is a legacy of The Salvation Army’s beginnings in London in the mid-19th century. Learn more about the history of The Salvation Army. All official positions with the exception of the General are appointed, however many non-Salvationists are also employed in various capacities. The Salvation Army currently operates in over 130 countries, with its work administered by The Salvation Army International Headquarters (IHQ) in London, United Kingdom. The international leader of The Salvation Army is the General, who works with the administrative departments of IHQ to direct Salvation Army operations around the world. These administrative departments are headed by International Secretaries. The Chief of the Staff, a commissioner appointed by the General to be second-in-command, is the Army’s chief executive whose function is to implement the General’s policy decisions and effect liaison between departments. As well as the handling of day-to-day business and the allocation of resources, IHQ is concerned with strategic, long range planning and acts as a resource centre for the worldwide Army and as a facilitator of ideas and policies. The Salvation Army worldwide is split into five zones (Africa, Europe, Americas, South Asia and East Asia), which are headed up by International (Zonal) Secretaries. The next level in The Salvation Army hierarchy is the territory. On 1 March 2016 The Salvation Army announced the unification of its Australia Southern and Australia Eastern territories. The Salvation Army will commence operation as the Australia Territory on 1 December, 2018. From 1921 until 2018, The Salvation Army in Australia was administered as two separate territories. The Territory is headed by the Territorial Commander, usually having the rank of Commissioner or Colonel, who reports directly to IHQ or in some cases, through a National Commander. The Territorial Commander is assisted by a Chief Secretary (normally a Colonel) and other departmental Secretaries who are responsible for overseeing the operation of The Salvation Army's activities throughout the Territory. Read more about The Salvation Army’s Australian leadership. The local Salvation Army church is called a corps, and Salvation Army church members are known as ‘soldiers’, while clergy are known as ‘officers’ who hold varying ranks. Those holding positions of leadership within the corps are called ‘local officers’. Such positions include leadership of the band, songster brigade (choir), or other groups. Local officer positions are voluntary, unpaid, and are open to both men and women. 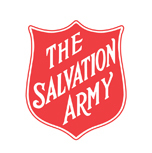 Salvation Army officers are full-time ministers of religion, trained and commissioned (ordained) by The Salvation Army. Their work involves all the usual duties of a minister, and can also include diverse roles in Salvation Army social service programs or administration. Officers have different ranks and wear uniform whenever they are ‘on duty’. As well as corps, the Salvos run a range of community service centres, which provide aid and support to people in need within the community. The Red Shield is an internationally recognised symbol of Salvation Army service to those in need. Its origins trace back to the turn of the century, when one of the symbols of The Salvation Army was a silver shield with the words ‘Salvation Army’ emblazoned across it. The shield was worn as a badge by many Salvation Army personnel, particularly those serving with the Defence Forces. In the aftermath of the Boer War, an Australian Salvationist, Major George Carpenter, was concerned that the silver shield worn by Salvationists in times of war would reflect light, particularly during the night, giving the location of troops to the enemy. As a result, the silver was replaced by the red enamel and became known as the ‘Red Shield’. The pattern is the same internationally, with only the language being different. Today, the Red Shield logo used on signage, printed materials and fundraising appeals has white lettering and border on red background. The shield usually has gold lettering and border when used as part of a Salvationist uniform on the cap or collar badges. Because the Red Shield emblem came to represent The Salvation Army’s reputation for being at the frontline of need, the Red Shield was incorporated into the name of The Salvation Army’s annual fundraising drive in Australia, the Red Shield Appeal. “Blood and Fire” is the motto of The Salvation Army. This describes the blood of Jesus shed on the cross to save all people, and the fire of the Holy Spirit which purifies believers. Around the world, The Salvation Army flag is a symbol of the Army’s war against sin and social evil. The red of the flag represents the blood of Christ, the blue border stands for purity, and the yellow star in the centre signifies the fire of the Holy Spirit. The flag is used at special occasions such as marriages, funerals, marches, open-air meetings, enrolments of soldiers, farewells, and retirements. The first Salvation Army flag was designed and presented to the Coventry Corps in England by Catherine Booth in 1878. At the time the centre of the flag was a yellow sun representing the Light of Life. This was changed to the star in 1882. The Salvation Army uniform reflects the military model upon which the Army is organised. Internally it provides a sense of identity and belonging. Externally it is a widely recognised symbol of availability and service, so we’re easily identified the world over. As with many of our symbols, the uniform has its origins in 19th Century London. The first Captain of The Salvation Army, a former chimney sweep named Elijah Cadman, instigated the wearing of the military-style uniforms. The original uniform was modelled on Victorian military garb, but has evolved over the years. From frock coats, tall hats and black ties for men and plain dresses and small Quaker-style bonnets for women, to the military-type uniform worn today, the uniform has adapted to fit the culture in which it finds itself. In Australia, bonnets for women were replaced by felt hats in the 1970s and the high military-style collars were dropped for both men and women about the same time. Today, most Salvationists in eastern Australia don’t wear hats and many people often wear a casual uniform. There is variation in uniform internationally because of climate and other circumstances. The Salvation Army today is renowned worldwide for its brass bands and choirs, but the introduction of bands to the Army happened almost by chance. The first Salvation Army band was launched in Salisbury, England, in 1878 and was made up of Charles Fry, a local builder and leader of the Methodist orchestra, and his three sons. Salvation Army evangelists in Salisbury were having trouble with local hooligans, so Fry and his sons offered to act as bodyguards while the Salvationists sang in the marketplace. As an afterthought the Frys brought their instruments to accompany the singing. In this unwitting fashion the first Salvation Army band was born. Their immediate success led the Fry family to sell their business and become full-time musicians with the Army. Within the next few years, brass bands sprang up all over the country, leading to their prominent place in The Salvation Army of today. To Salvationists, the drum has always been more than a musical instrument. From the first, the drum’s supreme function was as a ‘mercy seat’ in open-air meetings. Thousands of people have knelt at the drum and claimed Salvation from their sins. When the Army drum made its first appearance, some people said its use in religious meetings was nothing less than sacrilege, but William Booth claimed it was just as proper to “beat” the people into a Salvation meeting as to “ring” them into church. Of course, the drum is also very much a part of The Salvation Army musical tradition, playing as it does with the brass band. Many common Salvation Army terms come from its military structure and heritage. Some of the most common are defined below. Orders and Regulations for The Salvation Army Effectively a 'Code of Conduct' for all Salvation Army soldiers and officers. Soldier A Christian person who has, with the approval of their corps' senior pastoral care council, been enrolled as a member of The Salvation Army after undertaking soldiership classes and signing the Articles of War (Soldier's Covenant).